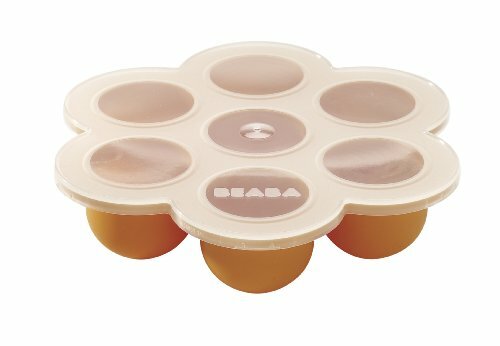 Beaba has over 25 years of experience producing everything you need to make and store baby food at home. The Multiportions baby food storage tray is the world's most popular baby food storage container. The versatile silicone design is dishwasher safe and can be used in the freezer, oven and microwave. Food won't stick to the container with our premium FDA grade material allowing moms and dads to easily pop out one or more servings of delicious homemade baby food. Save time in the kitchen by storing up to a week's worth of food in our 7-cup design. The Multiportions tray grows with your kids and is great for tasks outside storing baby food as well. The tray can easily be used to make desserts and snacks like popsicles, chocolates and even for baking cupcakes. Multiportions is a great serving tray to give kids multiple snack options in one container that can easily be resealed. Beaba’s Multiportions makes baby food storage and container clean up a breeze.